To reunite with someone who holds a special significance to you is a wonderful moment. Something similar happened to the Indian-American chef, Vikas Khanna, when he reunited with the Muslim family, who saved and sheltered him during the 1992 Mumbai riots. Last year, in an interview with Anupam Kher on Republic TV, chef Vikas had revealed that he observes a day’s fast every year during the holy month of Ramadan. He fasts to honor the Muslim family that saved him during the 1992 Mumbai riots. On the show, he described the events that transpired on that fateful night, 26 years ago. 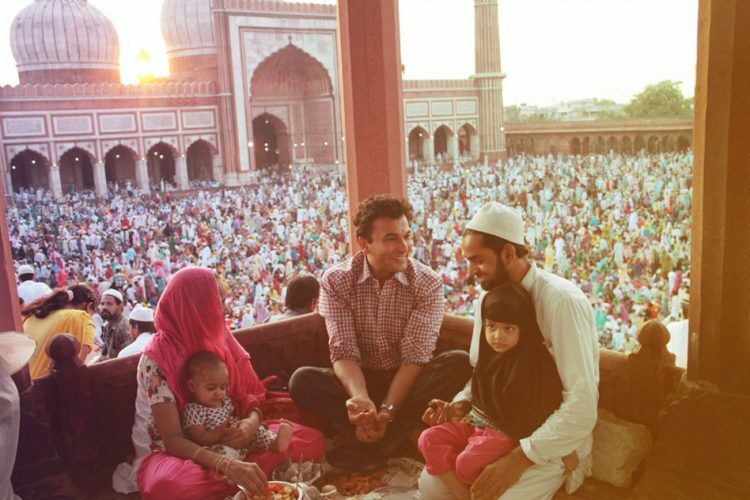 On Monday, Vikas Khanna tweeted joyously that he has found the family and he would break his Ramadan fast with them. This is one of the happiest day of my life. @AnupamPKher ji had interviewed me last year for @republic & I shared the story of Muslim family that saved my life during riots. Vikas Khanna was working as a trainee in Hotel Sheraton Sea Rock when the news of the riots reached him. He was stuck at the hotel when he got to know that the situation in Ghatkopar was getting worse. As his brother lived near Ghatkopar, a worried Khanna left the safety of the hotel and rushed out. Vikas was struggling with the directions on his way to Ghatkopar when he was stopped by ‘Ikbal Khan and Wasim Bhai’s’ family. They asked him not to go towards that side as there were rumors of the situation getting worse in the area, Vikas said in the interview. The family gave him a shelter in their home. However, a mob reached the house. When the mob questioned Khanna’s identity, the father immediately said that “he is one of his sons.” As soon as the mob left, one of the family members, risking his own safety, went to Ghatkopar to find out about Khanna’s brother. To Vikas’s relief, his brother was safe and unharmed. For the next one and a half days, Khanna stayed at their house. “I don’t know who they were or where I was during that time, but, since that year, I fast for one day during the holy month to thank them and keep them in my prayers,” says an emotional Vikas. After 26 years, the celebrity chef was reunited with the kind souls who saved his life. On June 12, he tweeted his thanks to all those who helped him re-connect with the family.